Searching for a home within the Killarney Elementary School Zone? Then you are in the right place! We work hard to make your next home search easy and efficient, so that when you are ready to buy or sell, we are ready to help! 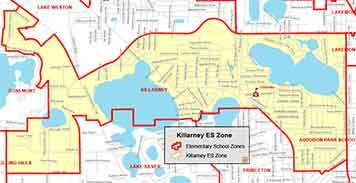 Students of Killarney Elementary reside within the 32804 + 32789 and 32808 zip codes. Killarney Elementary is a Renaissance school with a goal of recognizing and rewarding students who are “doing the right thing”. Renaissance schools focus their program on four target areas: Increasing student attendance, Improving overall academic performance, Increasing graduation rates, Creating a positive, safe school environment. We encourage individuals and the community to get involved in preparing students for career and college readiness.